1. Neither side financially devastated by divorce. 2. Both parties comfortable with property division, spousal support, child support, child custody. 3. Spouses have developed proper communication skill to avoid future conflict. 4. Husband and wife have ability to compromise. 5. None one feels that unfair advantage has been taken. Divorce mediation will help you to get the best outcome in your divorce by non-court ordered informal process. Our mediator will guide you to communicate effectively, think creatively and come to an agreement to make your divorce uncontested. 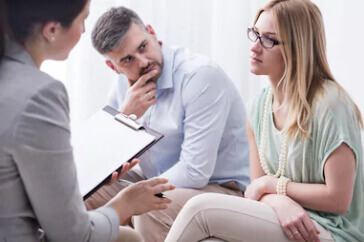 A Divorce Mediator uses a strategy applicable for your specific situation and provides legal information to you necessary to make well informed decisions. All communications during and associated with mediation are confidential. Experience shows that spouses benefit greatly from the cooperative climate of divorce mediation. At the conclusion of the process, the mediator will prepare an Agreement Form listing the specific agreements the parties have reached. Although our mediator is a licensed attorney, it is advisable that spouses have the terms of the agreement reviewed by an independent family attorney before having them incorporated into court order. Divorce without court involvement will be more convenient for you and stress free for your children. Uncontested divorce could be completed as a “ paper divorce “ without going to the court and see a judge. Our paralegal under the supervision of the attorney will prepare all necessary court documents and file them for you with the court.